On MSNBC’s Morning Joe today, Steven Rattner presented charts showing how Trump’s flailing efforts to stem the humanitarian crisis at the southwest border could easily become a real economic crisis. The problem of illegal immigration across our border with Mexico is back in the news, and this time, there is an issue to worry about – just not the one that President Trump started talking about the day he announced his candidacy in 2015. 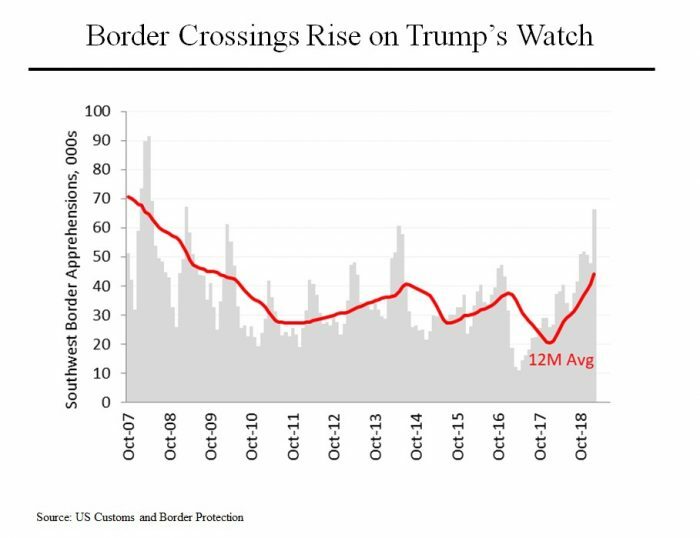 It’s worth noting that in the past, spikes in border traffic have often preceded upcoming crackdowns, such as the uptick that occurred just before Mr. Trump’s election as he campaigned on getting tough on immigration. 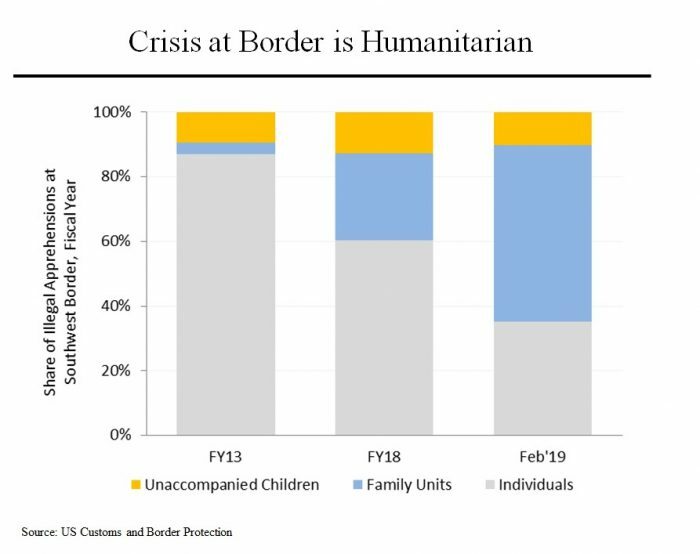 But when you look at who is trying to cross the border, it’s clear what has accounted for the increase: a rising number of families fleeing violence and other difficult conditions in the “northern triangle” countries of Honduras, Guatemala and El Salvador. This is quite a different group than the “rapists and drug smugglers” Mr. Trump talked about when he announced his campaign. Indeed, the number of illegal immigrants from Mexico has remained flat to down over the last several years. Mr. Trump is now talking about closing the border entirely because these family groups, who are generally seeking asylum, often try to cross illegally as a result of an agreement between the United States and Mexico in January that forces asylum seekers who present themselves at the legal port of entry in San Diego back across the border to Tijuana. This is, in effect, America’s version of the Syrian refugee crisis that gripped Europe in 2015. The president’s threat to close the border entirely would be an economic catastrophe for the United States. 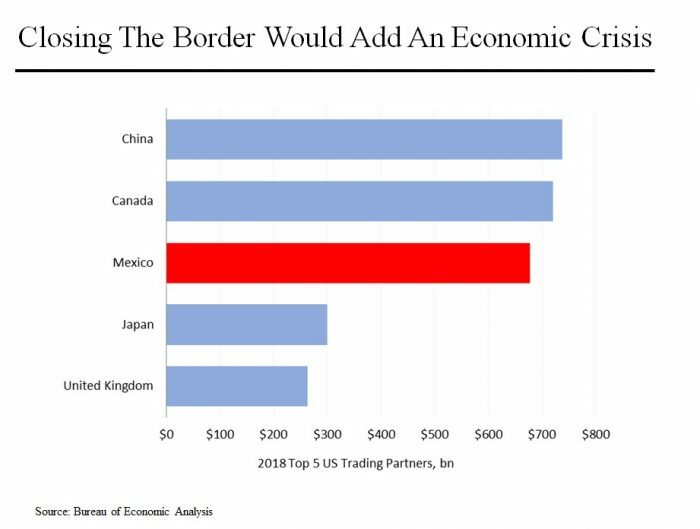 Mexico is our third largest trading partner (Japan is a distant fourth), amounting to 12 percent of our overall trade. Cutting off commercial traffic between the two countries would arguably hurt us at least as much as it would Mexico. 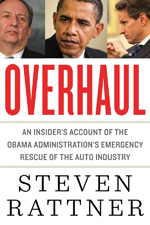 What is not understood or appreciated is that we don’t simply import finished goods from Mexico; after 20 years of free trade, supply chains have been rearranged in a way that results in many items (such as automotive parts) passing back and forth across the border multiple times in the course of being manufactured.